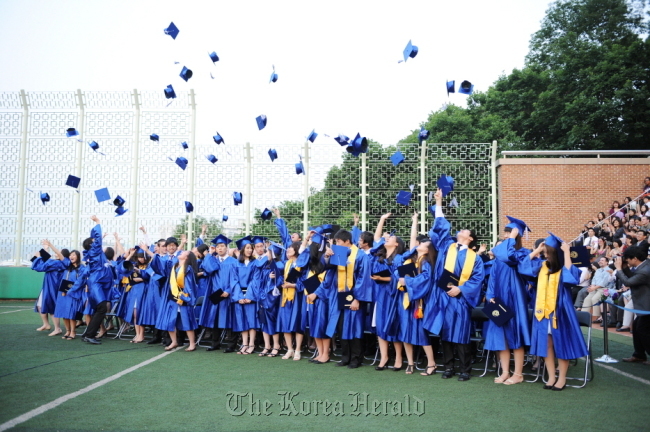 Korea International School will be holding its 2012 graduation ceremony on Friday. KIS graduates attend top 40 U.S National Universities and Colleges such as Harvard, Princeton, Columbia, and Stanford. This year’s KIS average SAT score is 2,033, which is 533 points higher than the U.S national average score. KIS offers 17 AP courses in a variety of subjects. Students who take these courses pass at an average rate of 92.6 percent. The KIS student to faculty ratio is 9:1. The KIS faculty members hold professional teaching certificates. Most faculty members hold master’s degrees. KIS Seoul Campus is currently recruiting new students for pre-kindergarten through fifth grade.